Guest Post: Friday Night Dilemma? SOLVED! Friday nights and I have a very tumultuous relationship. On one hand, I desperately want to go out, paint the town and celebrate the end of the work week. On the other hand, my bank account desperately wants me to stay in, watch basic cable (yay Fordham Cablevision), and keep the spending to a minimum. Friday nights in the city are a blast, but are much more expensive than going out almost every other night of the week (except Saturday). Luckily, my classmate (and fellow blogger) Shaina has found a wonderfully entertaining and economical solution to the Friday Night Dilemma. Here is what she had to say about it! Every student needs a night off to just relax and have a great time. But, sometimes the difference between having a fabulous night and just having another night on campus is money. I found a solution to that problem: burgers and karaoke! Don’t worry, this night will only cost you about $25. What: A place where the burgers are heaven and the ambiance is perfection. I first stumbled upon this place when my boyfriend and I were down in the village just hanging out and walking around. We were looking for something fun to do but we didn’t want to spend a bunch of money. So we went in and out of different restaurants on Saint Marks Place and most of them were over what we wanted to spend. We finally got to Mark and the place was pretty small but it looked expensive too. But, when we looked at the price of the burgers, we were pleased. We each had two burgers and French fries and our bill came up to $21.75. What: A place where the music is loud and the fun is abundant. Experience: Since my boyfriend and I had extra money left over for dinner, we decided that we should do something else. 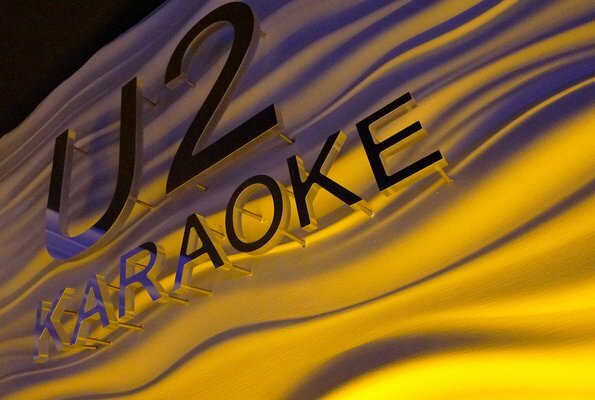 I always loved karaoke and when we were walking around to find a restaurant, we passed a place called U2. I had never been there before. We decided to go and it turns out, that it was only $8 per person. That was another great bargain for the night. We had so much fun. They have private rooms and performance lighting. It was the finish to a great AND affordable night! 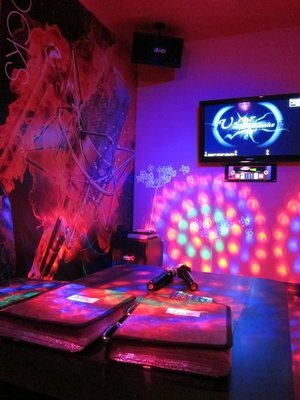 **A BIG thanks to Shaina for the great post and recommendations! This entry was posted in entertainment, Food and tagged budget, budget friendly, burgers and beers, deals, dining out, food, friday night, frugal, karaoke, nyc, weekend. I haven’t been to a karaoke lounge in a long time. I’m going to have to give this place a look. Thanks to you and Shaina! I love the the additions that you added to the post, it really made it come together! Thanks so much for all the tips! Readers loved you!